While the introduction of the Merlin engine did improve the Mustang's performance and produce the bubble-canopied fighters with which we associate the name, credit must be given to the Allison-engined variants that preceded it. 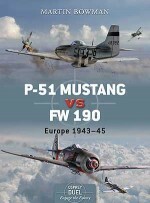 From its inception in early 1940, the Mustang's development was extraordinarily rapid - such was the need for a fighter at the time, and the confidence in its design. By early January 1942, the Mustang was in service with the RAF, flying low-level armed reconnaissance operations over Northern France. Despite later Merlin variants arriving in-theatre, this remained a hunting ground for the Allison Mustangs through to D-Day and beyond - a remarkable service length. 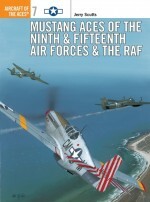 In American hands the Allison-engined Mustangs performed as dive-bombers and fighters, serving with distinction in North Africa and the Far East.